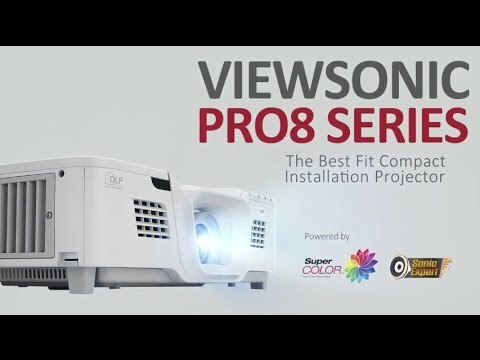 Utilizing a unique "Flex-In" design, the Pro8510L integrates an intuitive form, high flexibility and an easy installation process, making it the ideal installation projector. 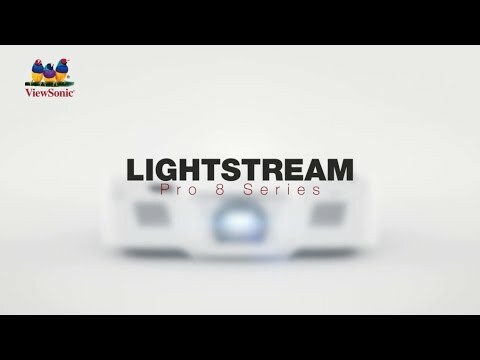 Equipped with 5,200 ANSI Lumens and XGA resolution, the Pro8510L boasts a sleek top cover and an intuitive PortAll® compartment to accommodate HDBT, wireless dongle, or PC stick integration for versatile application, while the cable management and 4-in-1 power button embody a bold and futuristic design. Moreover, the 4 HDMI ports, and centered lens with multiple adjustment in vertical lens shift, 1.6x optical zoom, HV keystone (auto V), and 4-corner offer flexible and easy installation. Powered by SuperColor™ and SonicExper®, the Pro8510L provides a professional audiovisual performance. The Pro8510L not only meets large venue Pro AV projection requirements, but is also more than enough for general high-brightness projection. Fitting into the PortAll®, the ViewSonic® ViewSync® series and other wireless dongles are powerful and compact to enable 1080p multimedia content and documents from mobile devices to projectors. Display 3D images directly from 3D Blu-ray players. 3D images can be viewed with optional ViewSonic PGD-350 Shutter Glasses, or any other compatible 3D glasses. "Mexico Energy test/Registration, EAC, TUVS Mark(Argentina), India BIS, FCC,CE EMC,CB,,CCC, ROHS, REACH, SVHC, WEEE, ErP, Mexico NOM, cTUVus, PSB, RCM, CECP"